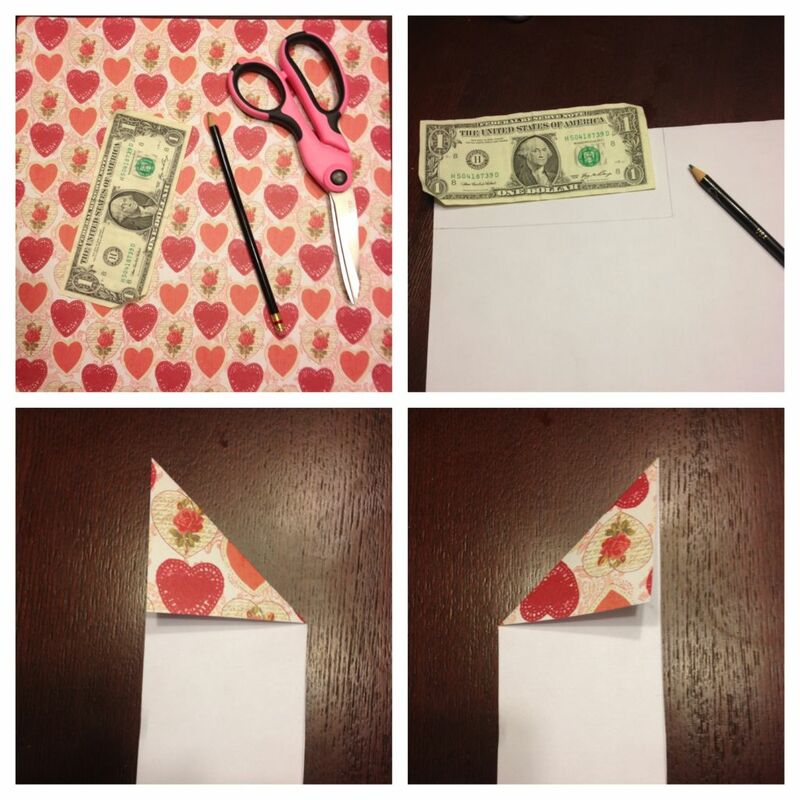 The art of origami has interested me for many years and I learned how to make this origami heart using a dollar bill. In this tutorial I used scrapbook paper in the theme of the upcoming Valentine’s holiday. 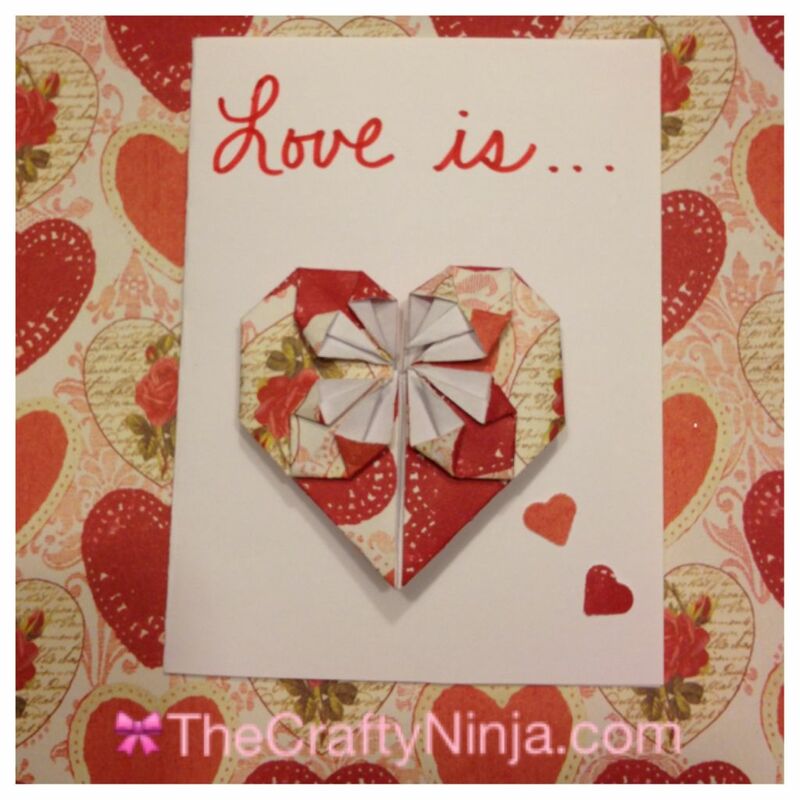 I use it to make a handmade card to give to my special Valentine. First trace a dollar bill on any color paper and cut out. 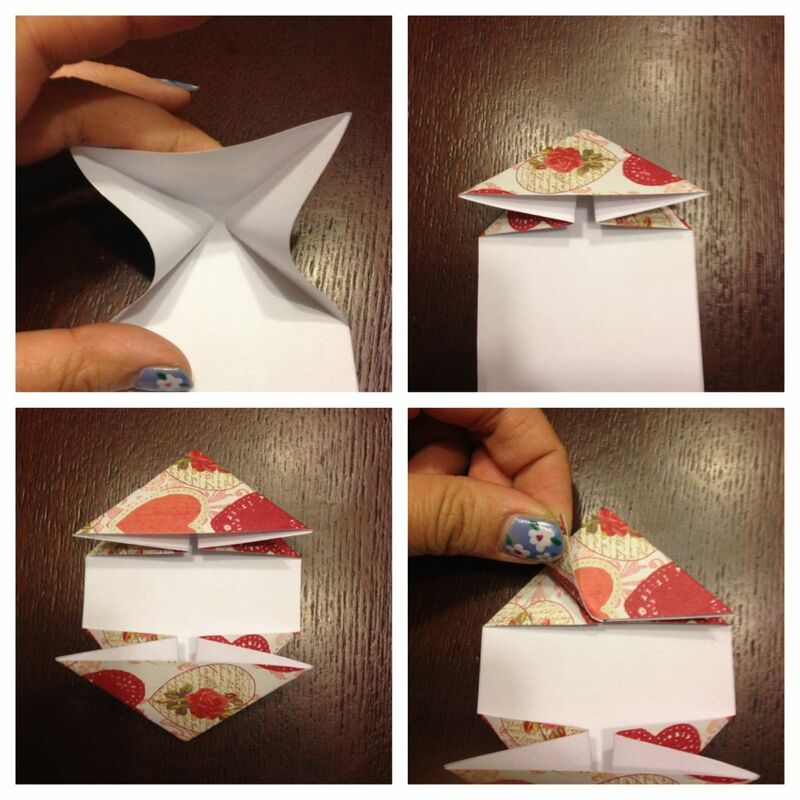 Fold the right corner down and open back up, fold left corner down and open back up. Repeat on the other side. 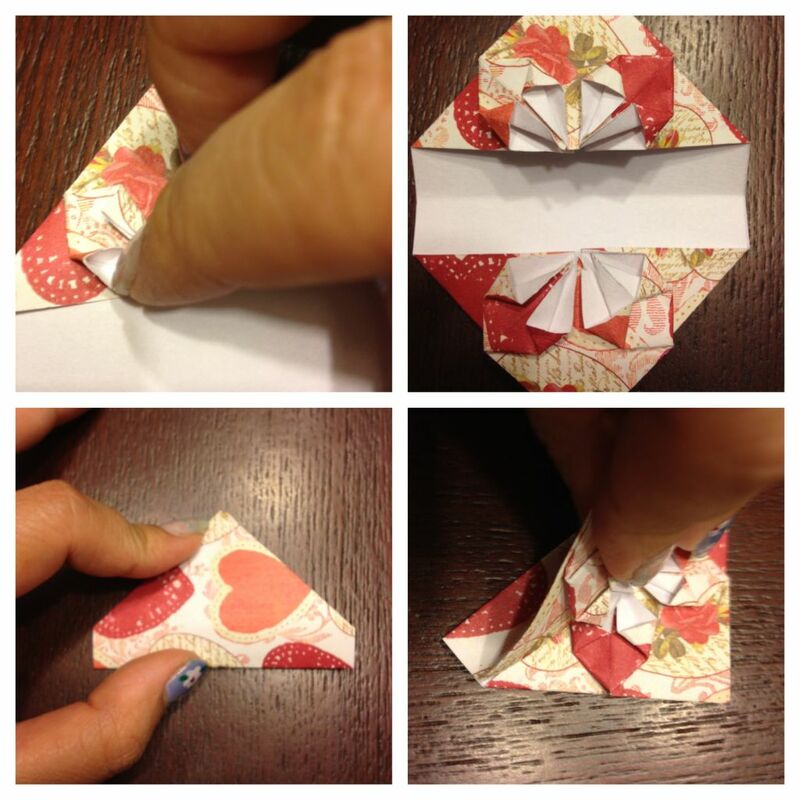 Fold down on the inside crease to make into a triangular shape. Repeat on the other side. Began folding the corner piece to the point of the triangle. Repeat folding the corner pieces to the point of the triangle on the other three corners. 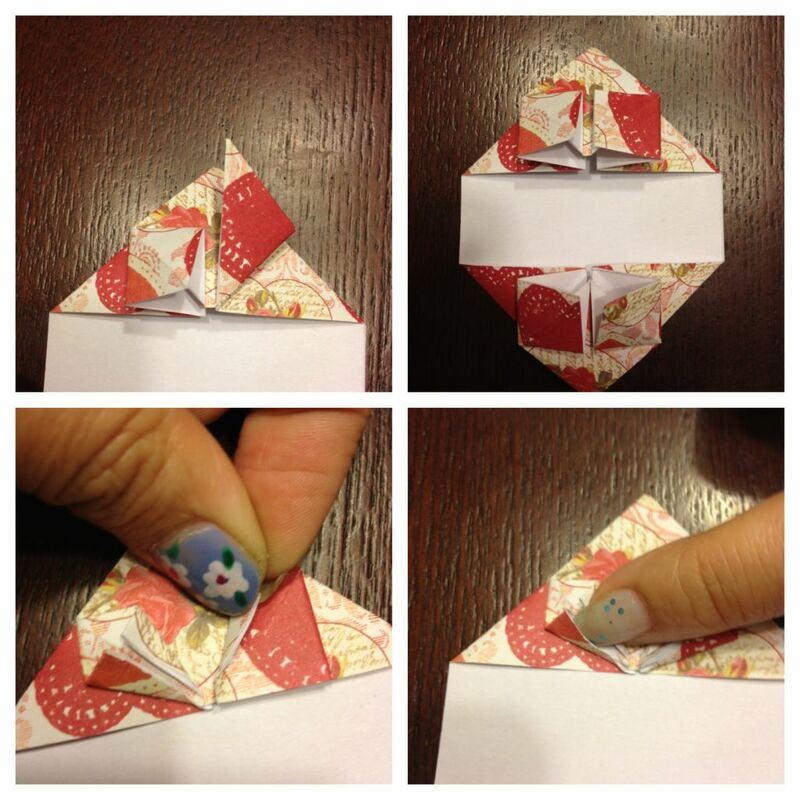 Take your finger and separate the newly formed sideways triangle and fold down. Repeat folding and this should create a square. Fold the square side flaps to the middle. 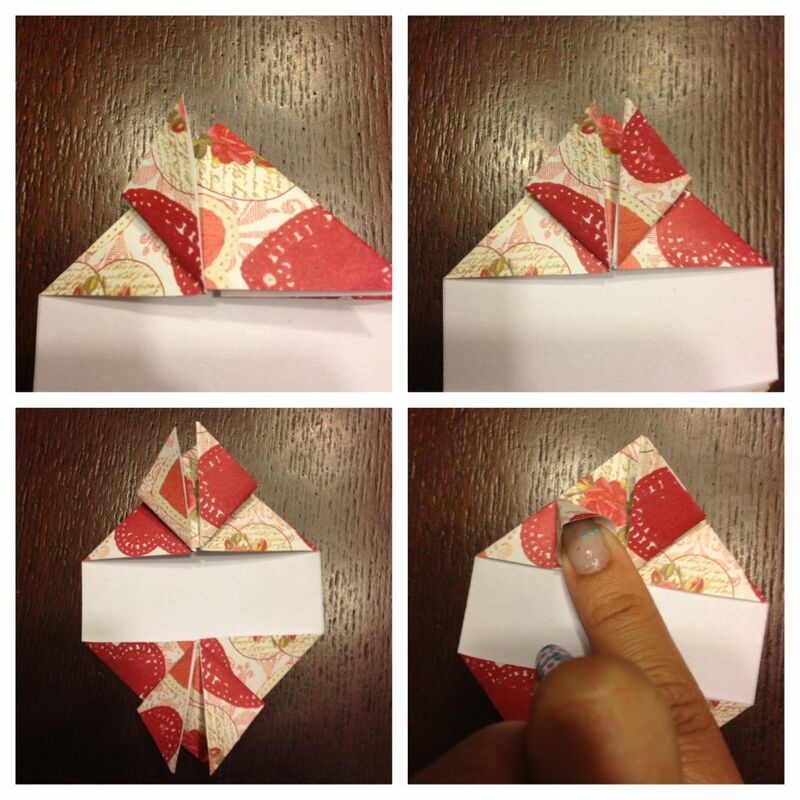 Once you do this to all the square flaps begin opening up the folded flaps with your finger. 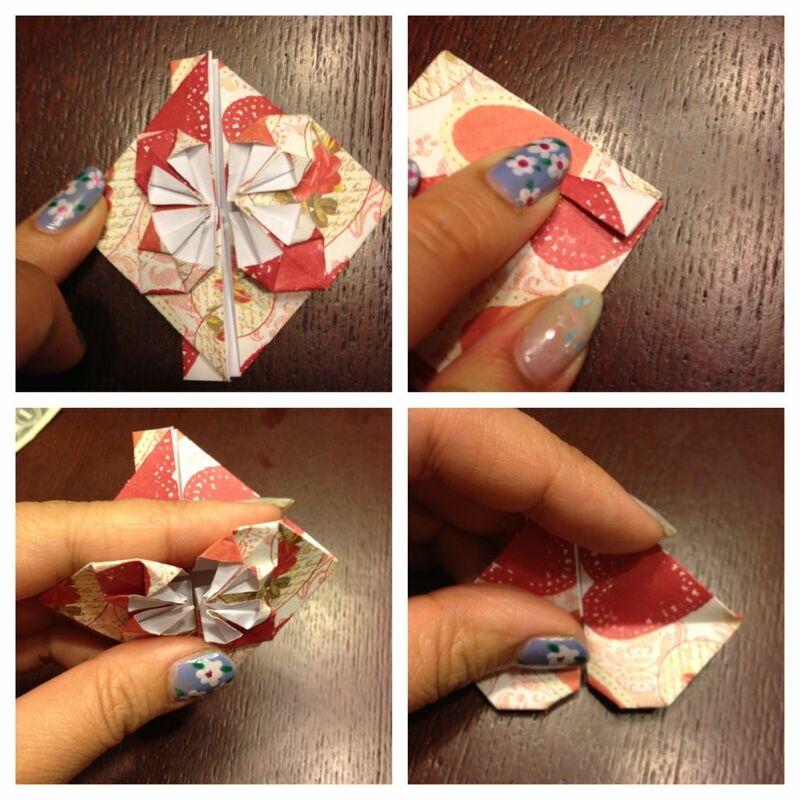 Open all the folded flaps and fold the whole piece in half. Reopen but make sure the white paper is no longer showing. Close the whole piece in half again and fold the back flaps in so you don’t see it from the front and reopen the piece. Pull the top piece down to create the heart shape. 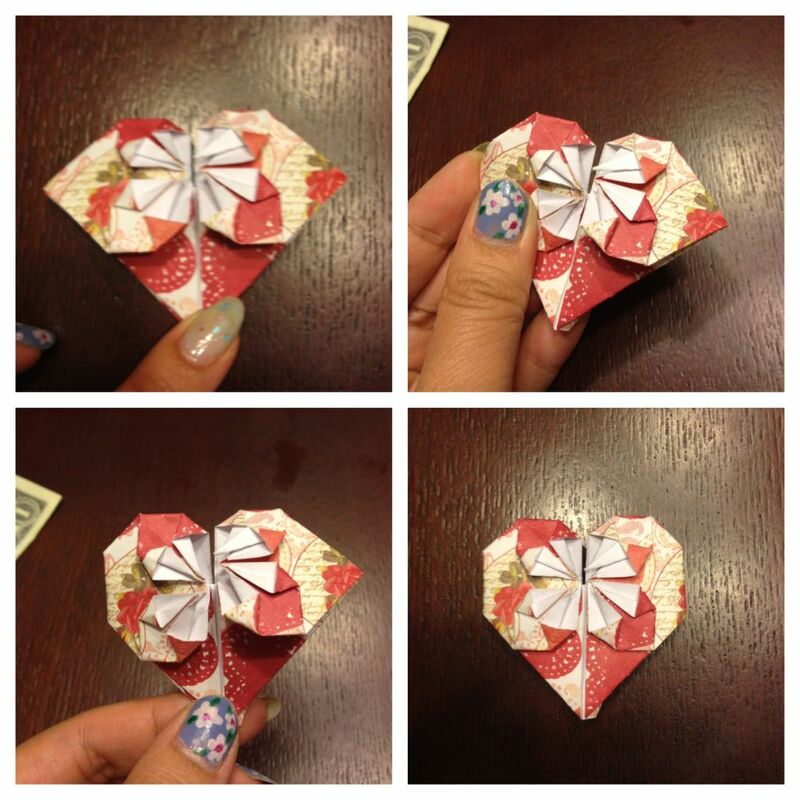 Fold in the side corners to the back and you have your origami heart.